Ukraine is beset by political turmoil the likes of which it hasn't seen in almost a decade. What started as protests over the handling of a trade pact with the European Union escalated to the ousting of the pro-Russian President Viktor Yanukovych. A new government has been installed in Kiev, the capital. 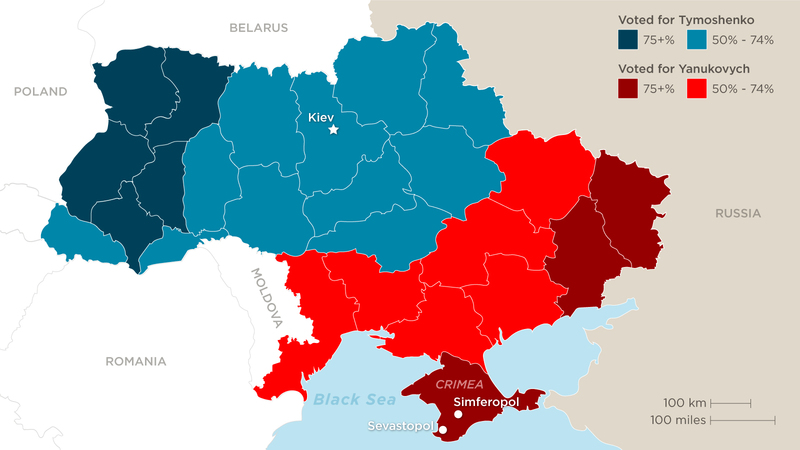 Ukraine, the biggest frontier nation separating Russia and the European Union, is sometimes considered a pawn between Russia and the West. 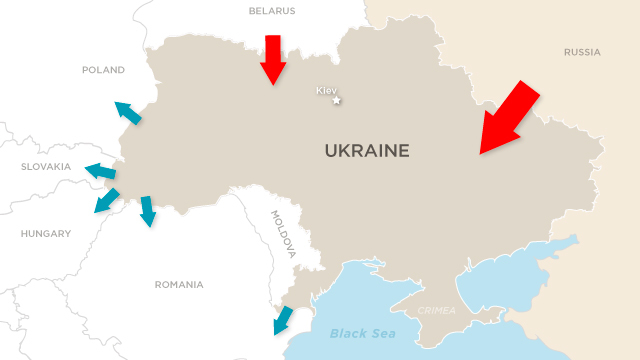 The maps below show a couple of ways in which Ukraine is divided. Ukrainian is the official language, spoken by 70% of the country’s population. 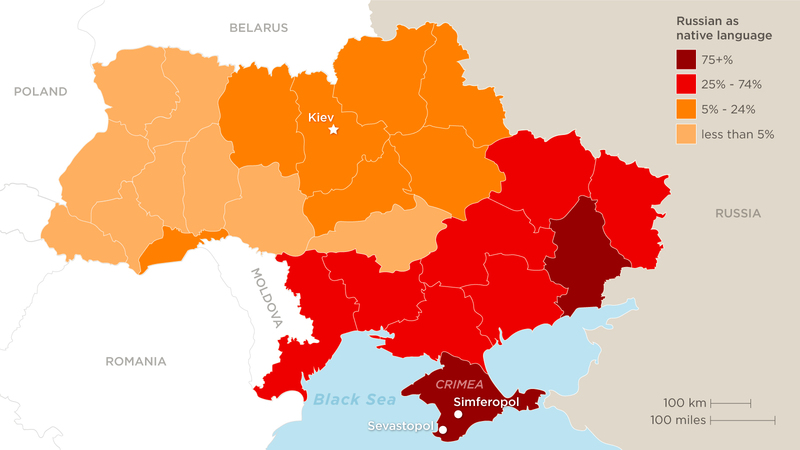 Russian is also spoken widely and is the mother tongue of many Ukrainians, especially in the east and in the southern region of Crimea, where ethnic Russians are in the majority. Violent protests broke out in the Crimean capital of Simferopol on February 27, against the new order set in motion a week earlier amid mass demonstrations in the country capital of Kiev. Crimea is a bastion of support for ousted President Yanukovych and is also home to Russia's Black Sea naval fleet, based at Sevastopol. A contentious election in 2010 saw pro-Russia candidate and former Prime Minister Viktor Yanukovych win with narrow margins over Prime Minister Yulia Tymoshenko. Yanukovych won with strong support in the Eastern regions, with most regions in the West favoring Tymoshenko. Part of Ukraine's significance on the world stage is its location. Europe currently depends on Russia for about 40% of its natural gas, according to Jeffrey Mankoff, deputy director of the Russia and Eurasia program at the Center for Strategic and International Studies. About half of that supply flows through pipelines in Ukraine. Ukraine's dependence is even higher – one of the terms of Russia's controversial deal with Kiev included steep discounts on natural gas. Russia has cut off that flow in past disputes with Ukraine; another disruption could push up energy prices for businesses and households.